Production Manager, José Salas has been with SERVPRO of Overbrook/ Wynnefield for the past 2 years. José has an eye for detail when it comes to clean up and restoration. He is always welcoming to everyone who crosses his path, making friends with anyone and everyone! His favorite part of working for SERVPRO is the tight knit family environment he helps to create on a daily basis. José has 4 children who keep him busy from when he goes home at night, till when he comes back to work in the morning. This man runs 24/7 and brings his positive attitude everywhere he goes! Tracy Convery has been the office manager at SERVPRO of Overbrook/Wynnefield since 2015. She quickly helped put in place processes to make this office run smoother and more efficiently. Tracy has an unmatched ability to absorb and comprehend new information on the fly. When she's not at SERVPRO, Tracy enjoys spending time with her family, husband and three children, up in the Poconos at their mountain cabin. 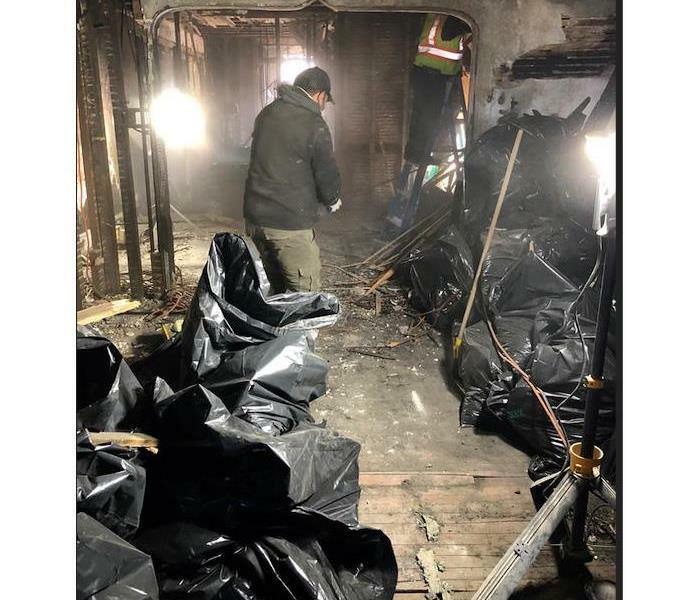 With minimal knowledge of the clean up and restoration industry before coming to SERVPRO, Tracy was a fast learner and keeps SERVPRO of Overbrook/ Wynnefield running like a fine tuned machine. Lori Fullington is the Financial Manager here at SERVPRO of Overbrook/Wynnefield. She has been here since SERVPRO of Overbrook/Wynnefield opened its doors in 2013. Bringing with her a vast amount of knowledge in the financial world, Lori filled a much needed opening in our franchise. She does the job we all take for granted... collecting the bill. Lori has ran a very successful lighting business with her mother for the past 30 years. Lori's favorite part about working for SERVPRO is having the ability to help our customers when they're in a time of need. Jim O'Donnell came onto the SERVPRO of Overbrook/Wynnefield team as our Production Manager about 4 years ago. Jim brought with him over ten years of experience as a general manager. Jim has gotten his certification from IICRC in Water Restoration and has experience in biohazard cleanup, fire damage restoration and mold remediation. When Jim is not at the office he's being kept busy by his family of three, wife, son and daughter. Jim's favorite part about working for SERVPRO of Overbrook/Wynnefield is the relationships he's built with his fellow employees and within the community we conduct business in.